Greetings. 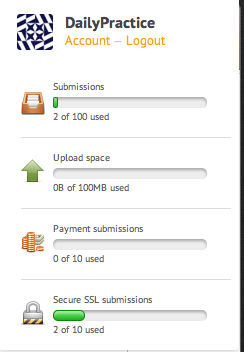 I noticed that I have Submissions vs SSL Submissions. What is the difference? Thank you for contacting us. Let me explain the difference between Submissions vs SSL Submissions. "Submissions" are those completed entries that are submitted by your form users. If your form is using HTTP and not HTTPS and it will consume "Submissions" counter. "SSL Submissions" are those completed entries that are submitted by your form users too. But the difference is the way the form was embedded or the link accessed is using a secured link using SSL. 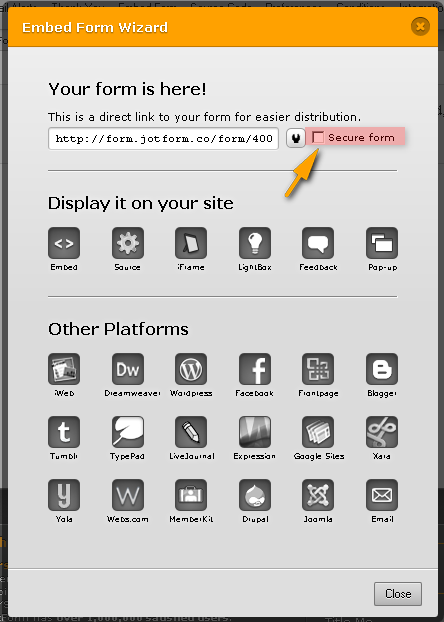 Most forms that use HTTPS://secure.jotform.com/form/12345678 or HTTPS://form. jotform.com/12345678 are hints that the form is using SSL secured connection which are encrypted when submitting the data to our servers. This is counted against your "SSL Submissions" counter whenever someone submits your form under SSL.